“The first look” has become a popular wedding trend over the last decade. This is where the bride and groom see each other for the first time before the walk down the aisle. 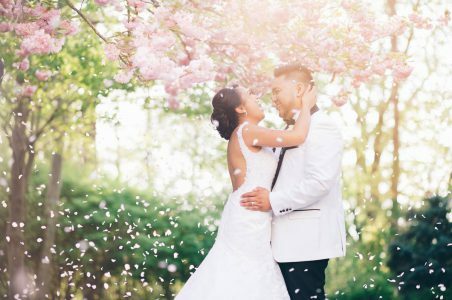 Traditionalists may shutter at the thought of the groom seeing the bride in her dress before the wedding, but is it actually bad luck if it’s only an hour before the ceremony starts? 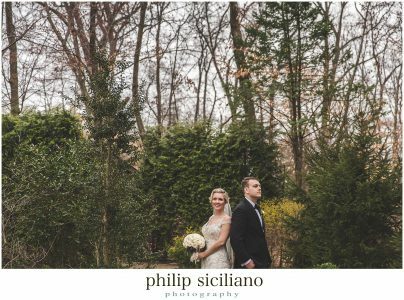 This new tradition may be something to seriously consider when thinking about the photos you want for your wedding and planning shots with your photographer. Picture this: Your significant other standing across the room with their eyes closed, anxiously waiting to see the person that they are about to marry. You walk up to them; equally as anxious and filled with love. They open their eyes and see you standing there in your wedding day attire, and your photographer is able to capture the looks on your faces as you see each other for the first time: consumed with emotion, without any one else in the room. Doesn’t that sound like a perfect moment? 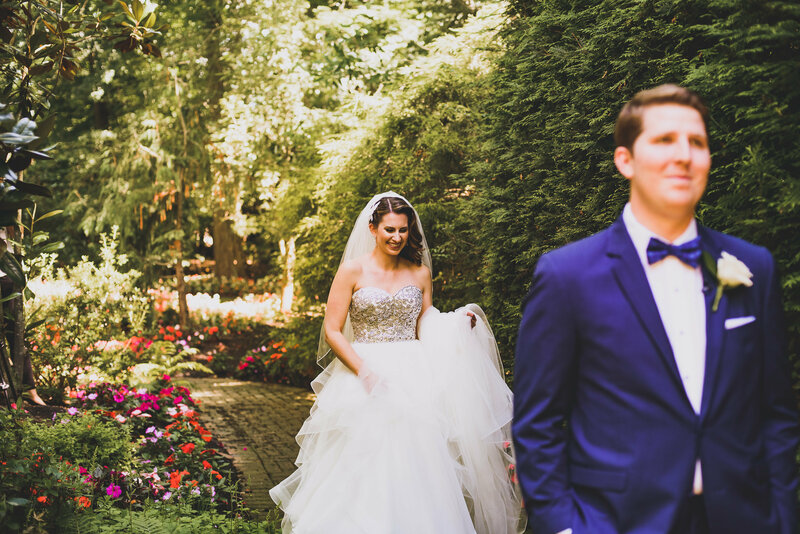 Not only are the pictures priceless, but also that special time alone before you say your vows is equally as priceless, and we all know that after the ceremony begins, private moments with your new spouse are few and far between until the wedding is over. This time with your spouse may also give you the opportunity to quell any pre wedding jitters so you can say your vows loudly and proudly without a shaky voice. If you choose to do a first look shoot, another thing you may want to consider before your ceremony is taking all the wedding party photos. Yes, this means that you may have to get up a little earlier that day and be ready a couple hours before the ceremony – but the pay off is that everyone is perfect and fresh for photos. You won’t have to worry about red/puffy eyes from joyful ceremony tears, or trying to round up your whole crew once the drinks start pouring in. Taking your photos before the ceremony also means that you and your wedding party can attend the cocktail party, and welcome and thank your guests for coming. This way you can spend your reception time partying the night away worry free. Header Photo by JR Photo NY.